Rain coming down outside the Killeen Special Events Center on Saturday. The Killeen area saw thunderstorms with rain and wind Saturday but the more severe weather missed Killeen and went east, said National Weather Service Meteorologist Joey Picca. Picca said golf ball sized hail was reported in Rockdale, about 65 miles east of Killeen. 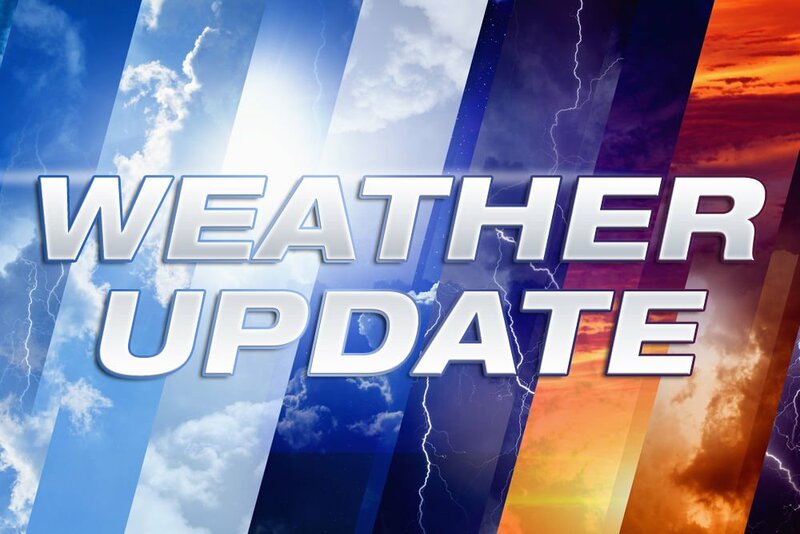 A wind advisory for Bell, Coryell and Lampasas counties was in effect overnight Saturday according to the National Weather Service Website. The severe weather should be over and done with in Killeen for a couple days with only small showers possible on Monday. However, there are more possible storms coming into the Killeen area on Wednesday. They have the possibility to be severe but are looking to be less severe than what missed Killeen on Saturday. There will be a 20 percent chance of rain beginning on Wednesday morning and throughout the day on Wednesday and into Wednesday night. The National Weather Service was unsure of the severity of the storms on Wednesday and they will be able to provide more information later in the week. High temperatures will be in the 60s Sunday and Monday before warming up to the 70s in midweek and the warmup will continue into the weekend with highs in the 80s, according to Picca. According to the U.S. Army Corps of Engineers website Stillhouse Hollow Lake and Belton Lake are at their normal levels.